The electronic cigarette industry is constantly evolving. A few years ago, it seemed like everyone was vaping on a two piece e-cigarette. A lot has changed since, with most vapers preferring vape pens or sub-ohm kits over their cig-a-like predecessors. Shockingly, many e-cigarette companies still only offer cig-a-like kits to their customer base (yes – we are talking about you Green Smoke). This is preposterous in today’s day and age, considering that e-cig consumers are not only looking for vape pens but also for a one stop shop for all of their vaping needs. Unfortunately, not too many of these exist and the ones that do generally aren’t that great (with the clear exception of V2 Cigs and to a certain extent JacVapour). So when we came across UK ECig Store and the wide range of products they offer, we were stunned. Could it really be? A store that not only offers just about every e-cig product you could ask for but high quality as well? Impossible…or so we thought. Let’s take a look at UK ECig Store and what they’re about. This was completely new territory for us here at E-Cigarette Reviews UK. We had never come across an e-cigarette provider that, for the most part, doesn’t offer your standard “kit.” Yes, it is true that UK E Cig Store does offer the ‘One+One’ kit which has a really cool design to it. The packaging looks almost like the cover of a VCR tape holder. A+ on that front. But aside from that? They offer individual shisha pens, mods, and tanks without the standard packaging/design. Obviously, these components do in fact come in some sort of packaging but it’s not what you would generally expect when thinking about a standard e-cig kit and the packaging and design involved with that. Due to the large assortment of products offered by UK ECig Store, battery performance, vapour volume and throat hit vary greatly depending on the product you purchase. If you are buying a cig-a-like, the above ranking factors underperform. But, UK ECig Store also offers box mods, mechanical mods, variable voltage, exotic mods, and shisha pens, all of which have excellent battery life, vapour volume and throat hit, especially if you are purchasing a good brand (Innokin, Kanger, Aspire, etc.). Are you sick and tired of trying to find the best e-liquids on the market? Tell us about it! It can be frustrating to say the least. Having to go from brand to brand, only to be left unsatisfied, can literally make or break your e-cig experience. So, if you are reading this review and are mostly new to e-cigs (or are just about ready to quit e-cigarettes), stop what you are doing and read the sections below. The next few paragraphs will likely be the most important information you will read about e-liquids, especially if you are unsure of your future with e-cigs due to the difficulties of finding high quality e-liquids. UK ECig Store offers the widest array of e-liquids in the UK by far…and it’s not even close. 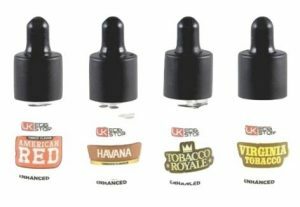 By shopping at UK ECig Store, you can choose from just about 60 e-liquid manufacturers and over a whopping 550 different e-liquids (557 to be exact at the time of this UK ECig Store review). Naturally, some of the e-liquid manufacturers aren’t all that great. However, there is an abundance of excellent quality e-liquids manufactured by some of the best mixologists on the planet. Two highly popular e-liquid manufacturers are Alice in Vapeland and Space Jam – both offered on the UK ECig Store website. UK ECig Store also offers over 100 of their own flavours. Generally speaking, one stop shops who branch out to manufacture their own products are inferior to larger brands with more resources for engineering. However, we were pleasantly surprised to see that UK E Cig Store e-liquids were well above average. Additionally, UK E Cig Store gives their customers the option of choosing between PG and VG e-liquid (or a combination of the two). VG e-liquid is becoming very popular nowadays, especially for vapers looking to produce an incredible amount of vapour. And, sticking with the ‘no shortage’ theme, UK E Cig Store offers every category of e-liquid. Gourmet, fruit, menthol, tobacco, dessert flavours – you name it and UK E Cig Store has it. The only issue with UK E Cig Store’s flavours are their stock levels. Due to extremely high demand, some flavours seem to be out of stock for a period of time. However, if you write in and pre order it, the e-liquid(s) should be delivered to you shortly thereafter. Overall, UK E Cig Store blew us away in the flavours category and we certainly recommend them for anyone who has had trouble finding quality e-liquids. Remember, if you are purchasing VG e-liquid only (or a mix of PG/VG), we don’t recommend choosing a higher nicotine level than 0.6%. If you are looking for a noticeable throat hit, then PG e-liquid is the way to go, and you should choose a higher nicotine level. UK E Cig Store offers some of the best customer service in the industry. For starters, they want their customers and potential customers to visit them. They are the only e-cig company that promotes a ‘Visit Us’ button on their home page (in prime location). If you can get to Wembley, we recommend going for a visit to see their entire operation. If you call beforehand, they may even provide you with a guided tour of the premises. Secondly, you can contact them via phone or email Monday-Friday 9:00-18:00, and on Saturdays from 10:00-14:00. They are closed on Sundays (the retail section though is open 7 days a week). Moreover, UK E Cig Store is very active on social media – mainly Twitter and Facebook. This is also a great channel to use should you require support. Their reps are helpful and have a very good understanding of e-cigs on a whole, so should you run into an issue, it will be resolved quickly. At first glance, you may think that UK E Cig Store’s pricing is phenomenal. This is because there are dozens upon dozens of low priced products. 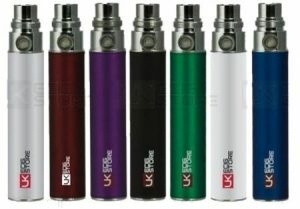 However, UK E Cig Store offers hundreds of products on their website. Naturally, you will find cheap, mid ranged and expensive products, depending on what you buy. We have found that their overall pricing strategy is competitive, especially for a one stop shop. In this section, we generally break down kit and cartomiser/e-liquid pricing. Due to the fact that UK E Cig Store has so many products, we have chosen not to include individual kit and e-liquid pricing here. We could write a book on it. However, we will say that e-cigarette kit/mod prices range from £19.99 to £169.99, while single bottle e-liquid prices are between £3.99 and £24.99. The one and only downside we found for UK E Cig Store was their money back guarantee policy. From such a big name, we were expecting to see a no quibble 30 day money back guarantee. However, UK E Cig Store only offers a 7 day money back guarantee. Perhaps we are being too harsh here because seven days is more than enough time to figure out if you have ordered the proper product or not. As for their warranty: it’s pretty standard and competes with all of the major brands. Batteries, chargers and VV mods come with a one month warranty. Mechanical mods come with a 30 day manufacturer’s guarantee while atomisers, clearomisers and cartomisers can only be replaced if the products are dead upon arrival. E-liquids and drip tips do not come with a warranty for obvious hygienic reasons. One more thing we would like to mention: Second Class Signed For shipping is free on all orders over £20 within the UK. 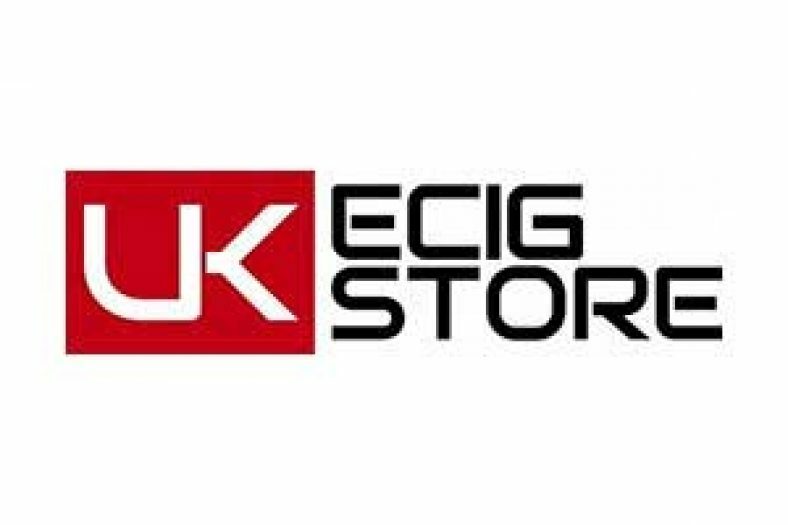 UK E Cig Store is the ultimate one stop shop for electronic cigarettes in the UK. While we wouldn’t recommend purchasing a cig-a-like starter kit through them, we very much would recommend taking a look at every other type of e-cig. Their large selection means that any vaper will certainly find the product they are looking for. Furthermore, you no longer need to look for premium e-liquids. UK E Cig Store seemingly has every type of e-liquid imaginable. With such a wide array of e-cigarette kits, batteries, e-liquids and accessories, mostly at high end levels, UK E Cig Store is without a doubt a top e-cig destination.